Kate Spade (born on December 24, 1962) is the co-founder and namesake of the designer brand, Kate Spade New York. Spade graduated from St. Teresa's Academy, an all-girl Catholic high school in Kansas City, Missouri. She attended the University of Kansas and then transferred to and graduated from Arizona State where she majored in journalism and she also worked in a motorcycle bar, and is a member of the Omega chapter of Kappa Kappa Gamma sorority. 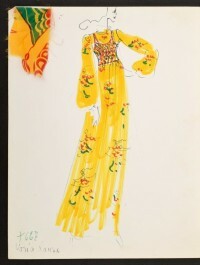 In 1986, Spade worked in the accessories department of Mademoiselle in Manhattan, where she was credited in the magazine's masthead as Katy Brosnahan. While at Mademoiselle she lived with Andy Spade, her longtime boyfriend. Together, they were featured in the magazine as part of a photo story on couples and love. 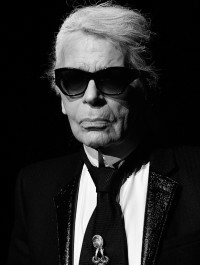 She left Mademoiselle in 1991, with the title of senior fashion editor/head of accessories. While working for Mademoiselle she noticed that the market lacked stylish and sensible handbags, so decided to create her own. With this in mind, Kate browsed local flea markets, began researching different styles, fabrics, production costs, and created a line of handbags with classic shapes, colors, and fabrics. Spade met her future husband, Andy Spade (brother of actor and comic, David Spade), a native of Scottsdale, Arizona, while at ASU, working side-by-side as salespersons in a men's clothing store, Carter's Men Shop in Phoenix. They were married in 1994. They had a daughter, Frances Beatrix Spade in February, 2005. 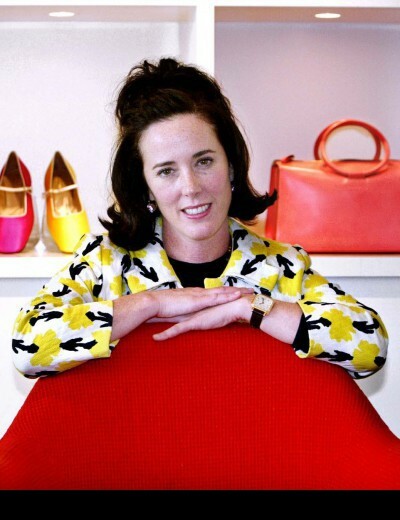 Kate Spade has won numerous awards throughout her career. In 1996 the Council of Fashion Designers of America awarded Kate "America's New Fashion Talent in Accessories" for her classic designs. In 1998, CFDA once again honored her for "Best Accessory Designer of the Year". Kate Spade's home collection won her three design awards in 2004, including, House Beautiful's "Giants of Design Award for Tastemaker", Bon Appetit's "American Food and Entertaining Award for Designer of the Year", and Elle Decor's "Elle Decor International Design Award for Bedding".